The following is an interview with the operator of StopBeck.com, the leader in the effort to get advertisers to boycott the Glenn Beck show on Fox. He explains his reasoning and some of his strategies for getting companies to not have their product name associated with the vitriol and the many, ongoing deceptions of Mr. Beck. Paul Westlake: "Beck is so much smarter than a lot of people think. He's a natural communicator and skilled liar. I'm a skilled liar, too, but I chose the honest path as a teenager. But I can still recognize the signs, the slowly, carefully constructed sentences, the false humility that serves as bravado, the thinly self-assured gusto with which he mixes tiny truths with massive lies and persuades his followers that he has a particular insight that all others simply lack. What's amazing is the percentage of Americans that are literally stunted in their social development enough to watch this obvious charlatan and take him for the genuine article. 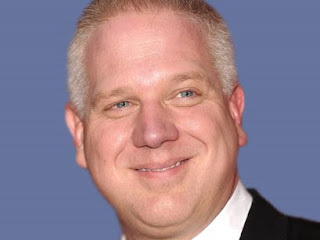 The dismantling of social services, coupled with decades of middle class economic decline, have regressed the American education standards to a point where Glenn Beck and the Tea Party are possible. I knew it was coming twenty years ago, I just didn't realize it was coming this soon and this hard." For readers who need specific examples of Beck's deceptions, the contents button above will show a listing of the posts on this blog. The single largest category of posts on this Review is entitled "Beck's false claims." Despite a challenge to his followers, not one has successfully showed where any of these counter claims of Beck's man falsehoods are wrong.